Brainwave entrainment programs are an effective tool to use when stress is dominating your day. 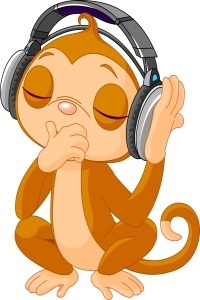 Meditation and relaxation are easy to achieve thanks to the soothing tones that are provided. Specific programs can even help sleep come faster and help people sleep better. 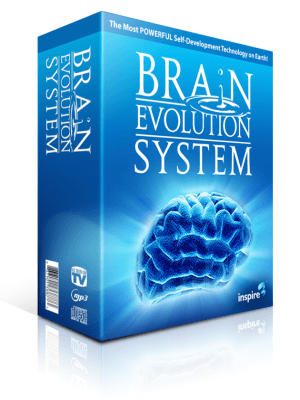 If you’ve never tried a brainwave entrainment program before, then what you’ll discover here could change your life. Are you ready to let your stress melt away? Or achieve a deeper state of meditation? Or even sleep deeper and longer than you can ever remember? Then you’re ready to try a brainwave entrainment program right now. Which Brainwave Entrainment Programs Work the Best? 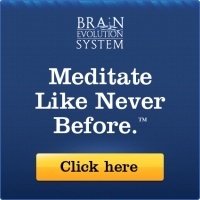 There are numerous makers of brainwave entrainment programs. Each has its own strengths that can be matched up to the needs you have in life right now. Relaxation, meditation, and better sleep can even be achieved by a single program if that is what you prefer. That’s why there really isn’t a single “best” program. Instead of giving you just one recommendation, here are several options that can help you to create the change you’d like to see in your life. There are three great programs available right now that help to promote a great night of sleep. Try out each of these programs to see which one can help you create unbelievable levels of peace, comfort, and contentment. The problem with many sleep programs rests in how the mind engages with them. Instead of calming the mind, they engage it with different tones, melodies, and harmonies. 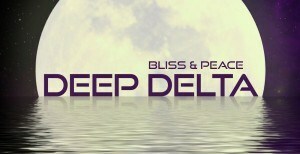 Deep Delta provides a consistent, continuous level of bass harmonics that literally drive the stress out of your body. There aren’t any lists being formed in the mind. Anxieties disappear. Fears go away. What you’re left with when using Deep Delta for better sleep is a supportive experience that keeps your consciousness available to you right there in the moment. The pathways toward sleep begin to unfold before you, allowing you to experience the journey one step at a time. You head toward a restful experience at your own pace. The harmonics and lightly changing melodic tones help your cells shift from a tense state to a relaxed state that is receptive for sleep. Deep Delta isn’t computer generated music. It’s composed by Leigh Spusta, who uses musical instruments and compositions to produce a trance-like state. Just put on your headphones, let your body relax, and be prepared to get a good night of rest. Do you tend to get frustrated at different points during the day? Anger is all around us, but frustration occurs when we lose our emotional balance. This is why we tend to become more emotional when we are tired. The mind is not in its proper balance. 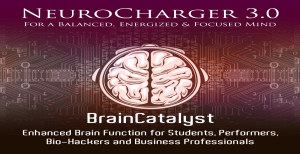 This is where NeuroCharger can become a unique tool to help you get through your day. 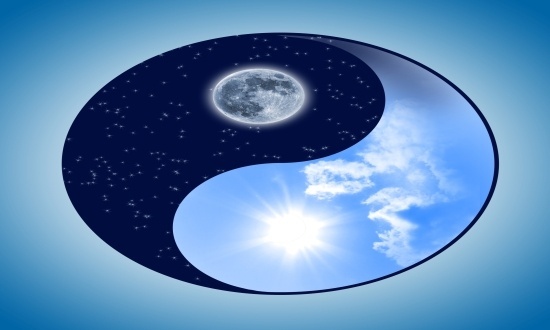 Instead of promoting a relaxed state for sleep, this program encourages the mind to stay balanced against the stresses of the day. It literally paints a musical picture that allows you to maintain your focus. Why does a better focus and an enhanced balance help you sleep better? It allows the mind to release its worries for the coming day. Racing thoughts happen because there are too many “what if” questions that remain unanswered. Instead of focusing on this anxiety, NeuroCharger can be used during the day to think up creative solutions to answer those bothersome questions. Here’s the best part: this program uses frequencies that can be beneficial at all volume levels. Put on some headphones, turn the volume down to its lowest setting, and you’ll be able to take advantage of this program’s benefits while still being able to engage others in conversation when necessary. Everyone has an occasional night or two when insomnia comes around. It can happen because of a cup of coffee consumed at dinner. It can also happen because the mind refuses to disengage from the day. Sleep Salon is a fantastic program because it takes you out of the alpha state that occurs when you close your eyes into the delta sleep state. Did you know that when you reach REM sleep that a different type of alpha wave is produced by the mind? This is one of the keys to dreaming. When these REM alpha waves are reduced, then there is less rest achieved. Sleep Salon gets you to sleep fast and then lets you sleep deeply because it helps to prevent the hasty transitions between sleep stages that may be keeping you awake at night. The best way to use this program is to use it as part of your winding down routine every night. Eliminate the computers, tablets, TVs, and phones and use this MP3 download in a darkened room instead. You’ll feel your body begin to relax as the mattress becomes supportive. Pretty soon you’ll wake up to discover morning has come around already. If you are suffering from a sleep debt, then Sleep Salon can help you correct this problem with extra sleep every night. In return, irritability, poor eating choices, and all of the other symptoms of poor sleep begin to fade away. Meditation is a very personal practice. There are many different types of music that can help you be able to find the right state of mind. From Jack Johnson to Slayer, music and meditation has been an integral combination for generations. 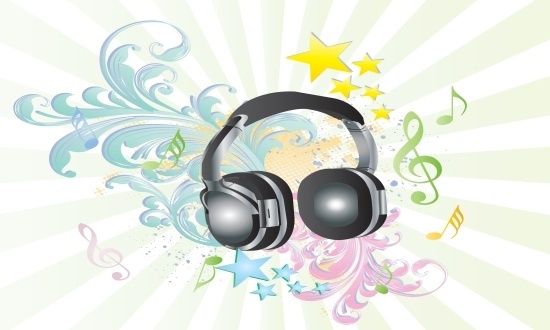 What regular music doesn’t have when compared to brainwave entrainment is the ability to specifically tune the mind toward a specific frequency that is desired. Want a better overall focus? There’s a program for that. Want to find a new positive outlook on life? You can do that as well. There are a few programs that have brought in a lot of powerful observations my way. Make sure you try each one if you would like some help with meditation so that you receive the best possible experience. The goal of meditation is to find a singular focus. That can be difficult to do when there are sound distractions everywhere. What this meditation program provides is a single tone that is heard at a precise interval to entrain the brain to find that focus. Pretty soon the benefits of meditation start coming around. Once you hear the tone, your muscles begin to relax. You begin to tap into your creative centers like never before. You begin focusing on finding the perfection available in this moment instead of worrying about the next moment. It really is quite profound. It allows you to achieve a deeper level of meditation that is difficult to find with distractions everywhere. Some of the most profound moments that we have in this life come in the stillness of a moment. Our ability to be hyper-connected can place an enormous amount of pressure on an individual. People feel the rollercoasters of emotion every time someone comments on their Facebook feed, says something on Twitter, or sends an uncomfortable instant message. We are always hyper-aware of our emotions. This creates a strain on the mind that humans have literally never felt before. It also means that finding a way to transform through the stillness of a moment is more important than ever before. This is where iAwake programs can provide a lot of help. Transformational Resilience is an incredible brainwave entrainment program that helps people be able to take their stress and turn it away. NeuroFlow provides an immediate focus. 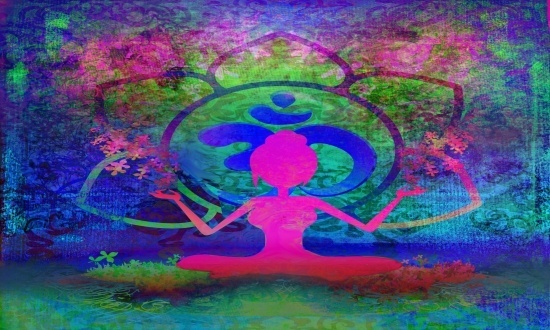 Profound Meditation 3.0 helps to deepen a personal meditation session. Even if you only have 5-10 minutes to meditate daily, the mini meditation sessions through brainwave entrainment can provide profound progress toward renewal. To be fair, just about every brainwave entrainment product that is on the market today has the ability to provide relaxation. When you put on some headphones and close your eyes, the mind transitions from beta waves to alpha waves and this inspires the muscles to relax. The right product at the right time can enhance this effect so that there are no longer any worries that affect the consciousness. It’s good to have a variety of brainwave entrainment products for relaxation because it is difficult to know what kind of stress will be encountered in any given day. If your library is stocked with 2-3 options at minimum, then you can start the best program possible to meet your needs and find your balance once again. Here are just a few of the wonderful options that are available right now. Which one of these relaxation programs could help you find a greater level of peace every day? Could 30 minutes change your life? It absolutely could, but first you must be willing to allow this to happen. So many physical ailments come about because of the high levels of stress and anxiety we’re exposed to on a daily basis. This brainwave entrainment relaxation program helps you to decompress so you can find a better balance in just minutes. It does more than just melt frustration away. It may also help to begin the natural healing process. Headaches, muscle twitching, and high blood pressure are very common in people who are exposed to high levels of daily stress. Make that stress go away and those physical ailments might just go away as well. Another outcome happens when you are able to use this program to work yourself into a better mood: your thinking process sharpens. When the mind is experiencing stress, it is committing more resources to coping with the bothersome experiences than it is to the thinking process. Eliminate the bothersome emotions that could have your mind out of control and you might find more clarity than you can remember having in a long time. Being able to take this meditation program on the go with you through a smartphone is the perfect way to relax at work. Not only does it help to enhance your personal energy flows, but your professional performance can increase as well. At the same time you’ll be evolving and deepening your personal spirituality. With 19 total tracks, you almost have enough audio to get you through your entire 8 hour work day. Imagine how different life could be if your mind could naturally resist stress, thriving instead in a relaxing environment of creativity? That’s what this specific brainwave entrainment program is able to offer. You’ll begin to feel the soothing effects of this program within the first 10 minutes of starting. From there you’ll be able to see the energies of the world in a very different way. The relaxation that can be experienced when using this program, even if it is just at home as you get ready to start your day, really can be life-changing in nature. This is another relaxing program which allows users to experience the benefits of meditation in just minutes every day. If you can dedicate 12 minutes to personal relaxation, then this program is for you. One of the most common reasons why people abandon meditation and relaxation is the inability to see results. Zen 12 is a brainwave entrainment program for relaxation that will provide you with a solution to this issue. You’ll notice that the mental chatter reduces itself to background noise. Instead of being restless and impatient, you’ll find yourself excited to embrace this time to relax. You don’t have to force the experience. It comes to you. Four different options are available for relaxation so everyone can personalize their experience in some way. Nature sounds, soothing acoustics, or even guided meditation are all available. If you have a noisy environment, then the white noise program can provide profound results. Are You Ready To Embrace More Personal Joy? Brainwave entrainment programs for sleep, meditation, and relaxation can help you to find a new layer to what we all call life today. This layer of life holds much promise for an incredibly fulfilling experience, but the door to this layer will not just open up on its own. It requires a tangible and personal effort. These programs can provide each of us with the consistency of implementation that is required to access these benefits. Try one of them or try them all and you will get to personally experience all of these benefits. Life is amazingly and beautifully complex. Brainwave entrainment programs help us to stop trying to put that complexity into a small box of understanding. Experience new depths while reducing stress and embracing creativity with these programs and you will be amazed at the perfection that really does exist in every moment we experience every day.